The fresh meat slice cutter has the advantages of compact structure, beautiful appearance, simple operation, high efficiency, low power consumption, easy cleaning and maintenance, good meat cutting effect, etc. It is necessary to add an electric protection device to the seller. 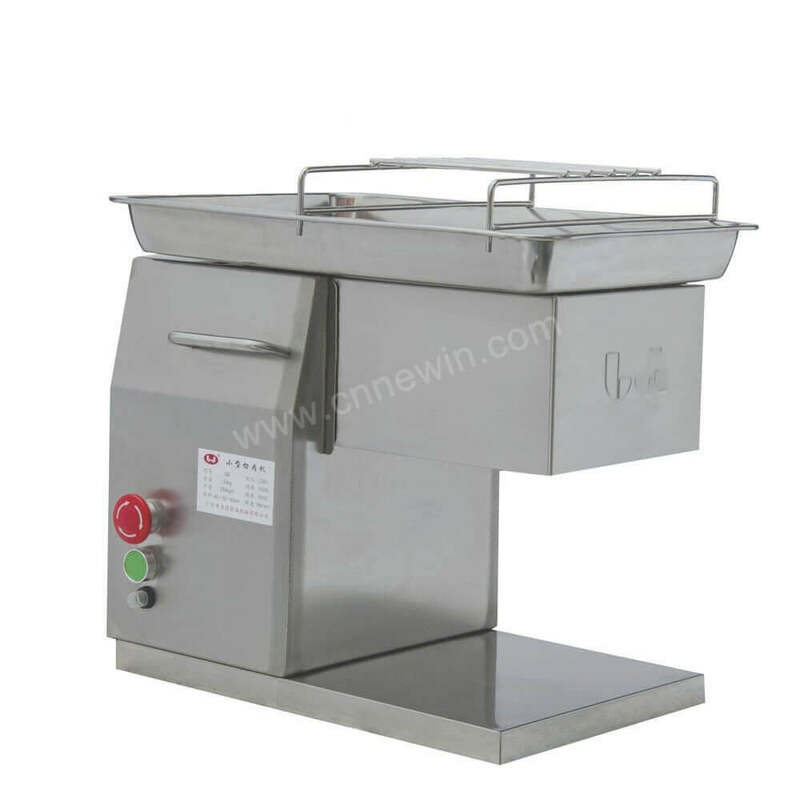 The thickness is not adjustable, and it is delicately matched with the feeding mechanism so that the advancement speed can be automatically controlled according to the required thickness of the meat piece; the fresh meat slice cutter is made of stainless steel plate. 4. Floating unloader design prevents cutting meat from sticking to the tool. Fresh meat slice cutters are widely used in schools, canteens, hotels, hotels, institutions and so on. It has the advantages of luxurious style, novel style, convenient cleaning, clean and hygienic, reliable quality, etc. It is suitable for restaurants, restaurants, butchers, canteens. The meat slicer is ideal for cutting pork, beef, lamb and other meats. product. What issues to consider when purchasing a chopper machine?